Team communication is supported by the rave7 social platform called rave-on. Easily send messages back and fourth maintaining a comment thread for all project participants to see and respond to. 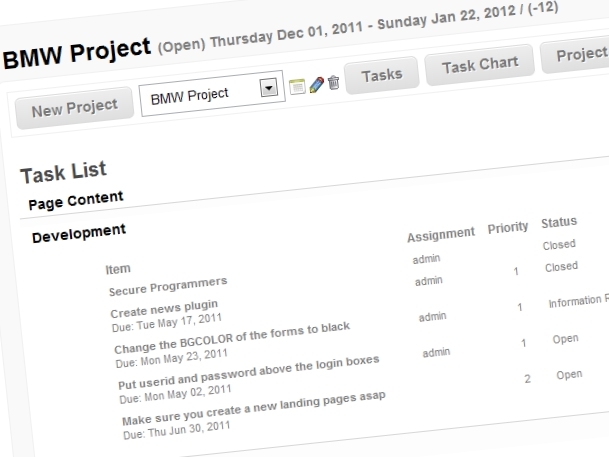 View tasks on a Project Calendar to get a top-down view of project activities. Attach any number of files to your projects and keep a complete revision history of file changes as you go. User can also "check-out" files so they are the only ones that can edit and re-upload the file. Track time directly in your project in order to cost your jobs. See overviews of your projects by stage and percent complete.